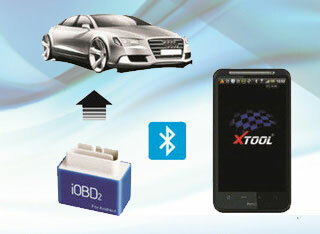 On-board diagnostics(OBD) is an automotive term referring to a vehicle’s self-diagnostic and reporting capability. 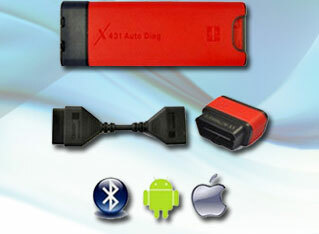 OBD systems give the vehicle owner or repair technician access to the status of the various vehicle sub-systems. The amount of diagnostic information available via OBD has varied widely since its introduction in the early 1980s versions of on-board vehicle computers. Early versions of OBD would simply illuminate a malfunction indicator light or “idiot light” if a problem was detected but it would not provide any information as to the nature of the problem. Modern OBD implementations use a standardized digital communications port to provide real-time data in addition to a standardized series of diagnostic trouble codes, or DTCs, which allow one to rapidly identify and remedy malfunctions within the vehicle.